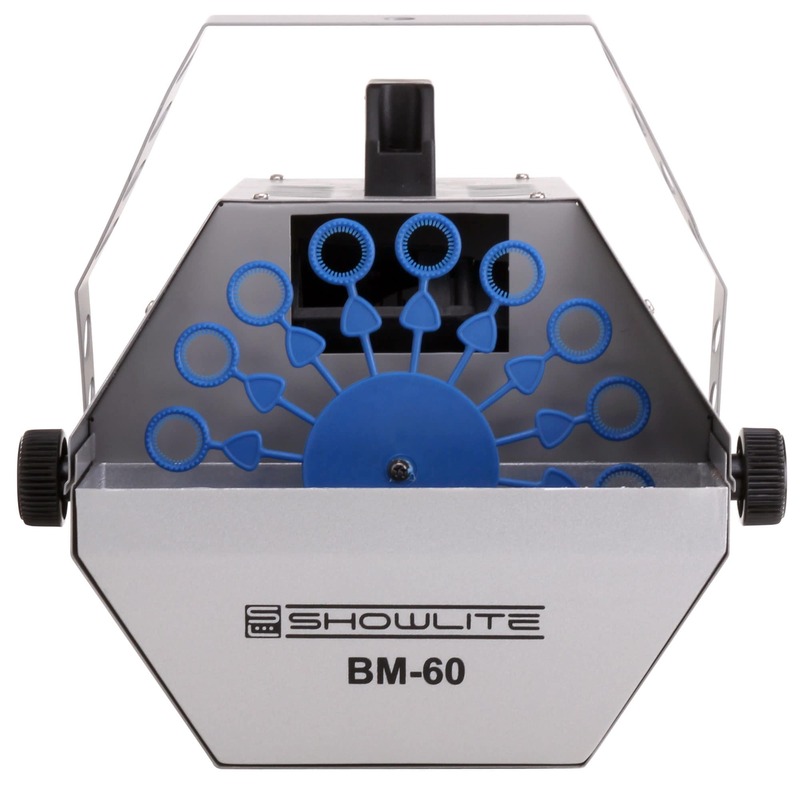 The Showlite BM-60 is a professional bubble machine for maximum bubble fun! Flying soap bubbles!... A childhood dream come true! We all have dreamed as a child to produce many bubbles or really large bubbles. 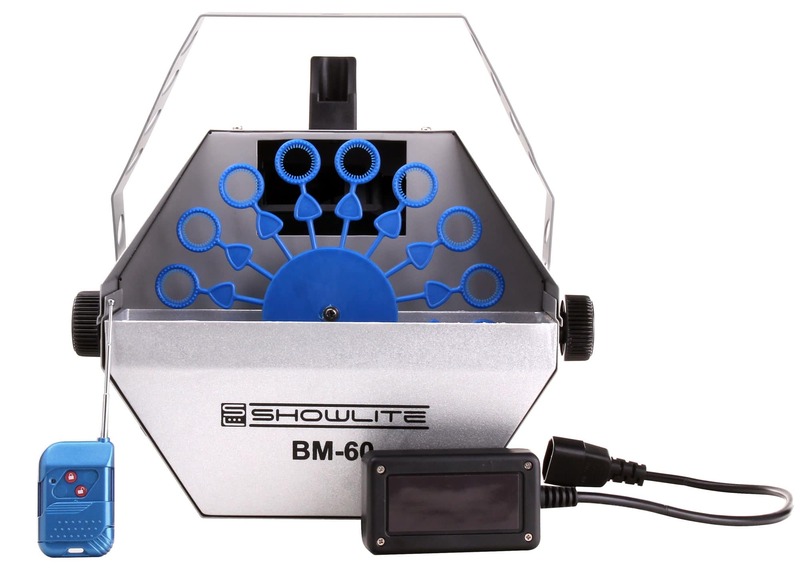 The Showlite BM-60 fulfills this wish with flying colors, fast easy and secure! 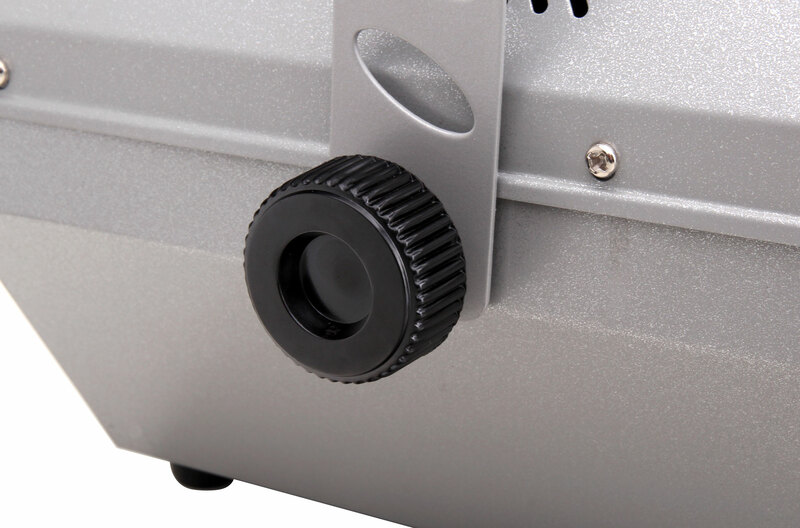 The BM-60 housing is designed thoughtfully. The Octagon with built in 0.6L tank provide the best conditions for a constant bubble spray. The tank can be filled during operation so that there won't be no fluid shortages. When not in use, the tank can be emptied simply by tilting. 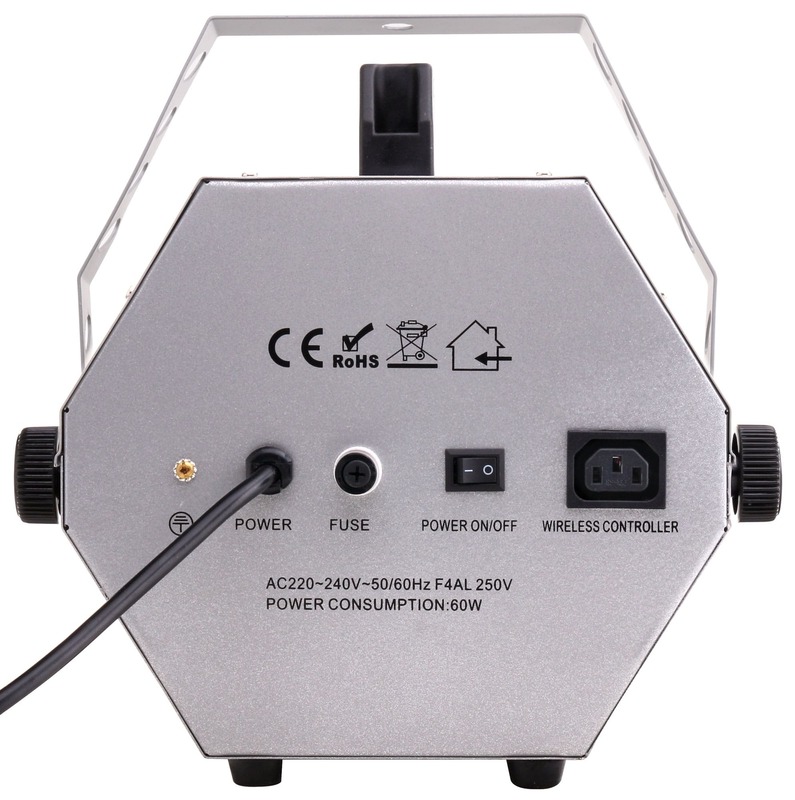 The smooth-running motor and the fan are extremely quiet. 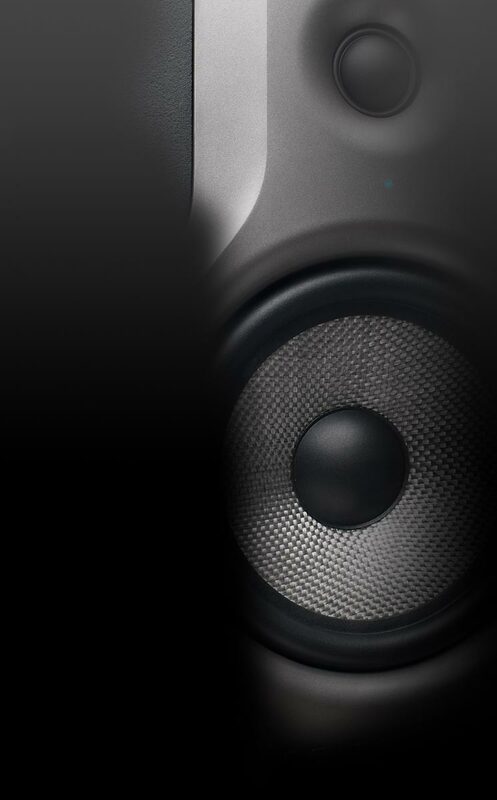 Thus, the machine will be quiet during parties and events with consciously volume in the background. 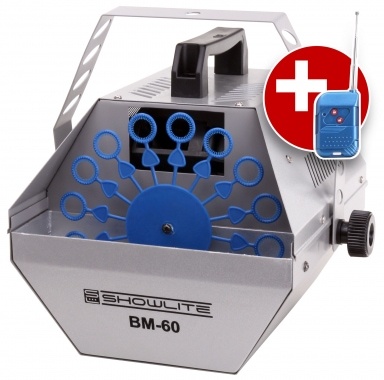 The strong performance blower and 16 blow rings provide a continuous discharge. Thus the tank (0.6L) is sufficient for 2 to 3 hours operating time. 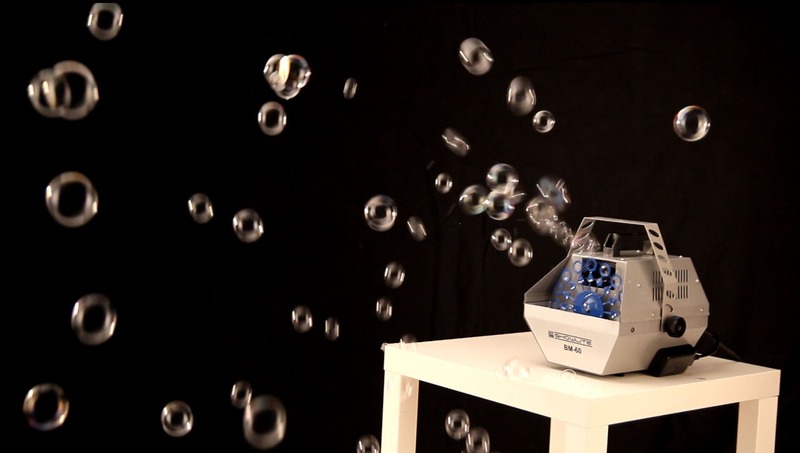 The machine can be operated with standard bubble liquid (not included). 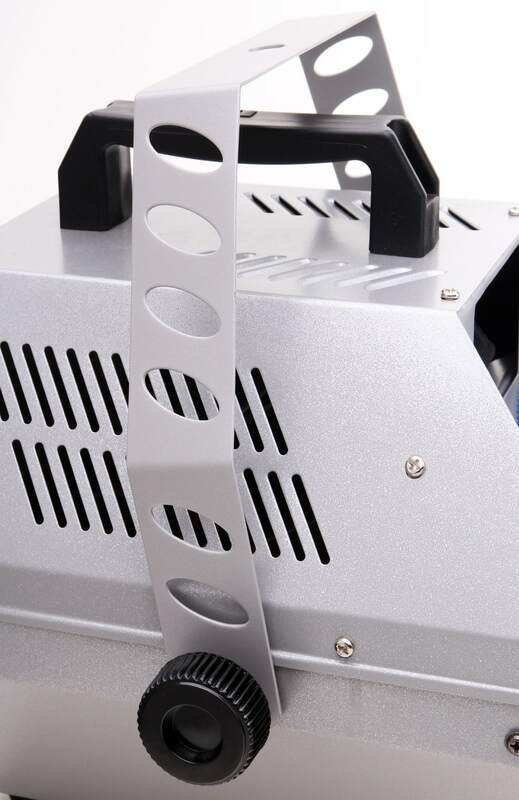 Other features include the bracket for mounting on ceilings and the top-mounted carrying handle. 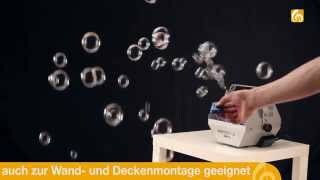 Thus, the bubble machine is easy to install in bars and lounge areas. 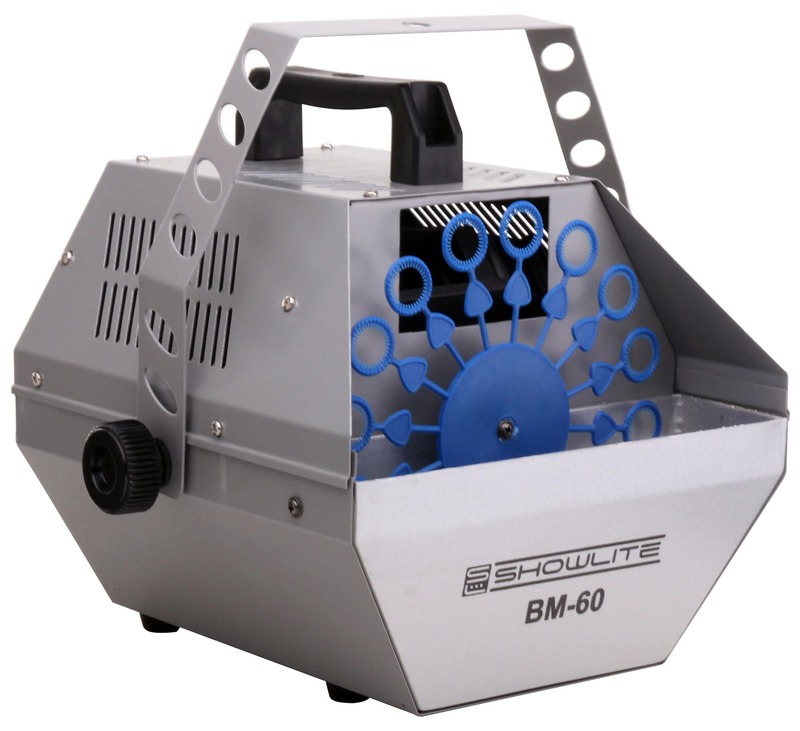 The BL-60 is ideal for discos, DJs, exhibition stands, children's birthdays and all other events where a stunning effect is required.